The relations between Russia and the Council of Europe aggravated in 2014 over Crimea and are at an all-time low since Moscow joined the organization in 1996. The Russian delegation was stripped of voting rights, excluded from the Parliamentary Assembly’s governing bodies and suspended from work in missions. In 2017, Russia withheld part of its annual membership dues until its delegation was restored to its rights. 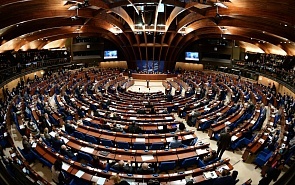 Since recently, Russian politicians and diplomats do not exclude the possibility of Russia quitting the Council of Europe. What is the scenario of further relations between Russia and Strasbourg? What consequences can be triggered by Russia’s decision to stop paying its dues and participating in the PACE sessions? Is Russia’s walkout from the Council of Europe inevitable? Would the Council of Europe win or lose as a result? These and other issues will be addressed by participants in the discussion. Ivan Soltanovsky, Permanent Representative of the Russian Federation to the Council of Europe (via mobile communication from Strasbourg). Andrey Bystritskiy, Chairman of the Board of the Foundation for Development and Support of the Valdai Discussion Club. Russia and the Council of Europe: Do They Have a Joint Future?